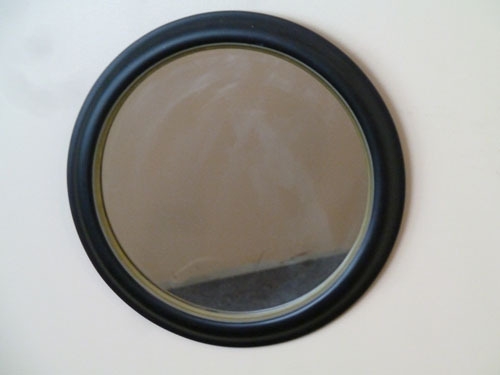 - SIZE 36 cm diameter mirror weighing about 3.kilo. - COLOUR Black framed with a gold edging please check the photos carefully for detials . - DELIVERY Pick up would be prefered but Can be delivered and or sent by courier in the Sydney metro for $25.00 Wollongong $35.00 Central coast $55.00.